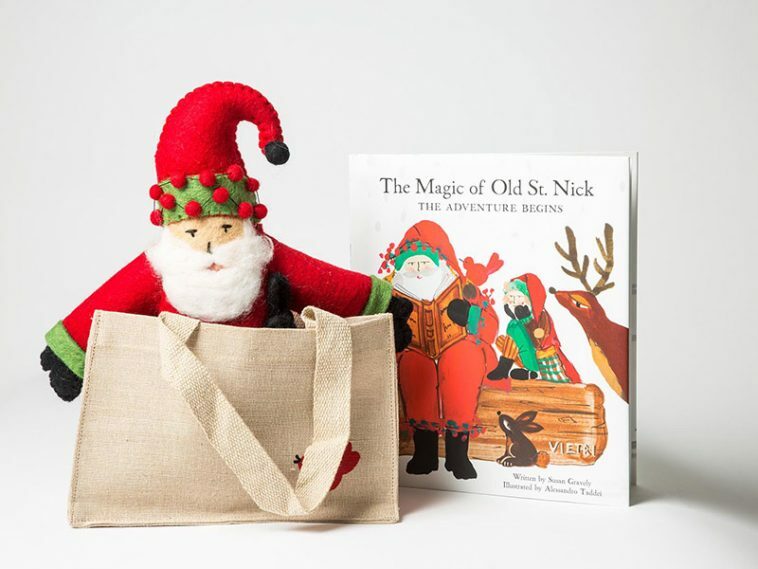 I am excited to finally announce the winner of the Santa Doll and The Magic of Old Saint Nick: The Adventure Begins book by Vietri founder Susan Gravely! 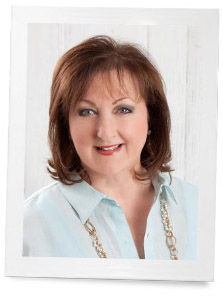 Congratulations to Gayle Cooper! I truly hope that this gift brings you and your loved ones joy this Christmas season. This book is not only wonderful for reading to children but also adds such a lovely touch to a display of Christmas decorations. Giveaways are so much fun for me because I love connecting with you all and providing fun little ways to give something in return for your loyalty to The Ribbon in My Journal. I mean it when I say that I greatly appreciate each of you. Your comments are so appreciated, and I look forward to reading them each and every week! And now that it’s finally close enough for me to say it: Happy holidays! I am looking forward for the next couple of months so that we can share many delicious recipes and holiday memories. Please remember you can email me ideas, comments, or questions at ribbon@hoffmanmedia.com! 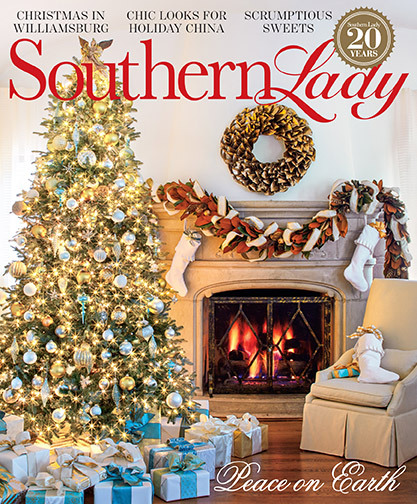 And if you’re on the hunt for more festive inspiration, be sure to check out my review of our latest holiday releases here. Or, you can shop straight from this page by clicking the cover below. Have a wonderful Friday and a fantastic weekend! blog and all your ideas and writings. Congratulations to the winner and thank you again, Phyllis, for introducing us to the Vietri line and telling us about this lovely book. What a delightful surprise to open my email and find that I have won this adorable, handmade, Santa doll and Susan Gravely’s wonderful book! I can’t wait to read the story about St. Nick and the little red bird and then share it with my young grandchildren, and won’t this sweet set be a lovely Christmas touch in my home! Thank you, Phyllis and Vietri, for the treasured give away, and Phyllis, your uplifting posts are always day brighteners as are Hoffman Media’s beautiful publications. I wish you and all my Ribbon In My Journal friends a most joyous Christmas season. Again, thank you…………I’m so tickled! Thanks for letting us know the winner! Congratulations to her. We all appreciate your lovely magazines and the blogs you post. Thank you for the ideas we get from your publications. Thanks for the email address. Congratulations to the winner! Enjoy your lovely prize !